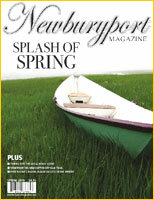 Carpentry work completed by Ed LeClair for MPG Home Design was featured in Newburyport Magazine. "Outstanding workmanship in all phases of the trade. From the floor to the ceiling and everything in between. Paying special attention to detail. All projects are done efficiently and on time at very reasonable prices. I would highly recommend Ed LeClair to anyone who needs something done and done right -- whether it be Residential or Commercial." "Ed and his team are terrific! They replaced 26 windows in our home in 3 days. They were neat, courteous and efficient. We were 100% satisfied with their work and would recommend them highly." "We have had Mr. LeClair do several jobs for us and we have been extremely satisfied with his work. He is proud of his work and always clearly explains the job to us and cleans up after each job. We would highly recommend him to others." "We would highly recommend Ed LeClair for any renovation work you might have in mind. Seven years ago we were extremely fortunate to have a neighbor recommend Edward LeClair Carpentry to us. At the time, we wanted to renovate a downstairs laundry/pantry into a bathroom. Both of us were extremely impressed with Ed's creativity in redesigning this tiny room. Since then, Ed has been an invaluable help in renovating various rooms of our 1765 colonial home. He would always listen to our plans and then offer thoughtful recommendations to accompany these plans. Ed has remodeled both of our bathrooms, renovated an uninhabitable room into a gorgeous working art studio, complete with skylights, and also designed, with us, a state of the art kitchen. Ed is a consummate professional. He was meticulous in all of his work and was especially attuned to the fine details when creating moldings to compliment the period and style of our home. Ed has always finished within the budget." "Ed installed Harvey replacement windows in our 18th century colonial home and three-season porch. Ed is a first-rate carpenter. Additionally, we especially appreciated his honesty, communication skills, and cleanliness. Initially, my wife and I met with Ed, who explained several replacement options that fit our home's colonial appearance and budget. Following our decision, Ed and his work crew arrived at our house as scheduled. The window removal, small repairs and finish work - due to the age of our home - and the installation were completed in a timely manner. The entire work area was cleaned, and the old windows and debris were removed from our property. We enthusiastically recommend Ed for this type of remodeling project."